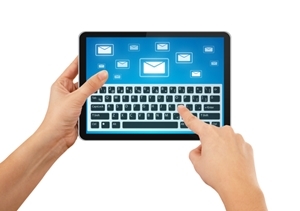 Why build your email list in the age of social media? Social media sites like Facebook and Twitter get attention for their large user bases, yet email marketing has a much higher reach than both of those sites combined together. Facebook claims to have more than 1.35 billion users and Twitter has more than 270 million users, but according to Campaign Monitor research, there will be more than 2.9 billion email accounts by the end of 2019, meaning email has double the reach of Facebook and 10 times the reach of Twitter. Facebook has progressively reduced the number of people that a brand’s posts can reach in an attempt to get more businesses to be spend on paid advertising. In fact, organic reach on Facebook is under 6%. This means that every time your business posts a Facebook update or promotion, less than 6 percent of your audience will see it. By comparison, email open rates hover around 30 percent, making your message 5 times more likely to be seen through email than Facebook. Apart from its reach and effectiveness, you should keep investing in your email list as your list yearly loses 25-30% of their email subscribers due to churn every year. Now that you know why you should build your email list, let’s dive into how you do it. This one is particularly interesting for physical stores and restaurants. Nowadays more and more stores are offering free Wi-Fi to their clients or patrons. And they do it for a good reason, research has shown that offering WiFi to customers increases sales by 4%. But you could also use this to collect emails. Just add a little form or sign-up screen before they can access your network. 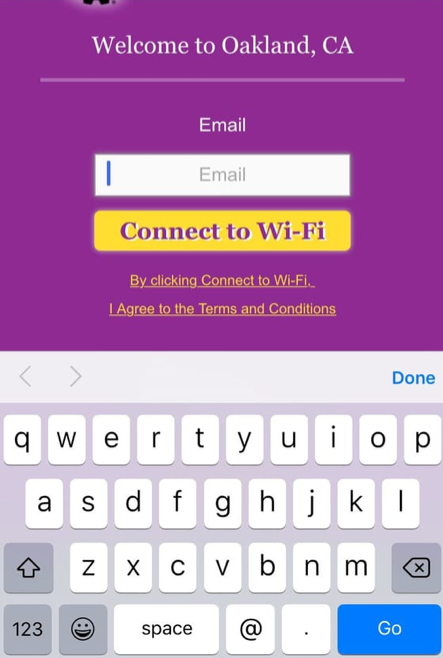 People love free Wi-Fi and won’t hesitate to give their email address. Digital Marketer defines a lead magnet as “an irresistible bribe offering a specific chunk of value to a prospect in exchange for their contact information”. That pretty much sums it up. A lead magnet, which is also commonly referred to as gated content, is essentially a piece of content that you offer for free. That content piece could be anything – a guide, an eBook, an email course, or a white paper. The catch is the prospect has to give you their email address in order to access it. Another lead magnet tactic is using a quiz or assessment. This combats the big issue with so many old school lead-generation tactics: your potential leads don’t see what’s in it for them and don’t understand how your business relates to them and how it can help their current situation. This is why lead-generation quizzes are so helpful. They show how your business can solve a problem or improve a specific situation without providing long, forgetful explanations. A quiz can literally asks what they find important.Using a quiz will enable you to segment your new subscribers while keeping them engaged. Segmented email campaigns have an open rate that is 14.32% higher than non-segmented campaigns. Creating a quiz in this day and age isn’t as hard as it used to be. You don’t need any coding or tech skills to create an engaging quiz. Most survey makers also provide quiz capabilities as well as ready-to-use quiz templates. A few email service providers also offer the tools to make quizzes, including Pinpointe, which offers a free survey/quiz tools with every subscription. 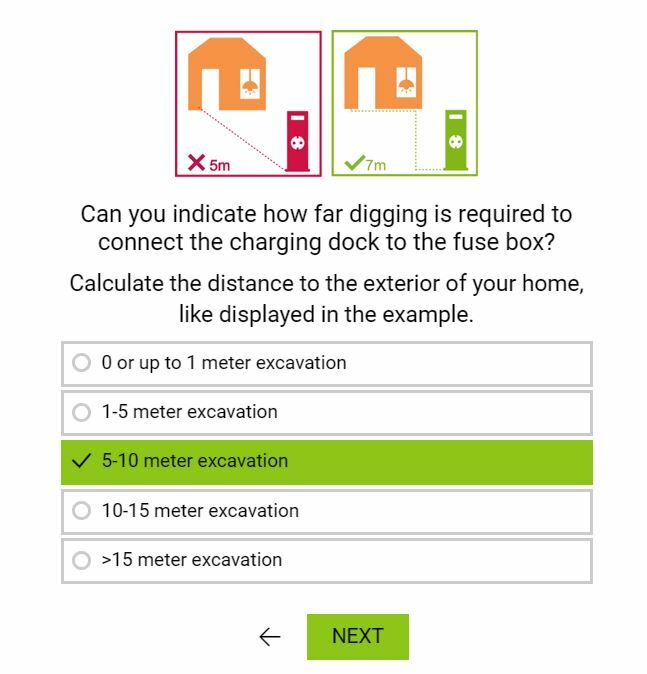 Eneco Netherlands, a natural gas, electricity and heat producer and supplier, created a lead-generation assessment in the form of a calculator. Their goal was to inform potential leads how much electric vehicle service equipment would cost to install depending on their specific situation. The email Eneco Netherlands sent included personalized questions and asked the potential leads about their actual experiences and situation. It resulted in Eneco collecting 1,000 leads in six weeks. That’s what interactive lead magnets are all about: generating interaction and two-way communication with your audience. A normal content upgrade, on the other hand, is considered “static content” or one-way communication. People love to get free stuff. That’s why giveaways are one of the best ways to grow your list. What do you need to run a successful giveaway? The first thing you need is exciting prizes. Focus on something specifically exciting to your target audience. Giving away a new car or the latest iPhone will ensure that you get a lot of emails, but they will hold next to no value, as people signed up just to win the grand prize. The second step is to find a partner. You can always go solo but looking into cooperation with one or more partner will save you money on the prizes. Money not spent is money in your pocket. And, if you work with one or more partners, they will be more than happy to share your giveaway via their channels as well. And finally, you should promote the giveaway. This is perhaps the most important part for the performance of your contest because if nobody knows about your giveaway, then what’s the use? Try to activate your community. One way of doing that is by having some social boosters to help your campaign grow organically. Incentivize participants to share with friends. If you’ve created a great giveaway you’ll know because your participants are going to share it all the time with their friends. Unfortunately, with most giveaways, there will only be a small number of winners. But that doesn’t mean you can’t make all entrants feel like winners. Give them a simple goodie or some small prize. It doesn’t have to cost a lot, as long as you don’t leave anybody empty-handed. 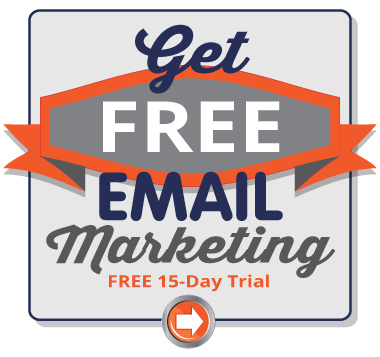 Popups are a widely used way to get new sign-ups for your newsletter and grow your email list. Often a popup appears after the visitor has been looking at the page for a few seconds. The popup includes the sign-up form, and in addition, you also have space to write good copy to persuade your visitors to fill out their information. Not all popups are created equal though. Some of them are even experienced as annoying or even irritating, to reduce this you can only show them when people tend to leave your site. These are also known as exit popups or exit overlays. Here is a 25 point checklist to create on awesome exit pop-up. But don’t just ask for the email, make sure to give people something in return. Unbounce researched the impact of 2,345,864 exit popups. One of the first experiments they did was offer an eBook instead of a simple newsletter sign-up form. The newsletter-overlay generated 558,488 unique visitors in 170 days with a conversion of 1.27%. The eBook offer generated 260,000 unique visitors in 96 days with a conversion rate of 2.65%. The first step to successful email list building is setting expectations. There are a couple of ways to do this. The first is with your content. If you create consistently high-quality content, your readers and subscribers will know to expect it straight in their inbox. Another way of setting the “expectation of value” is selling the newsletter itself. 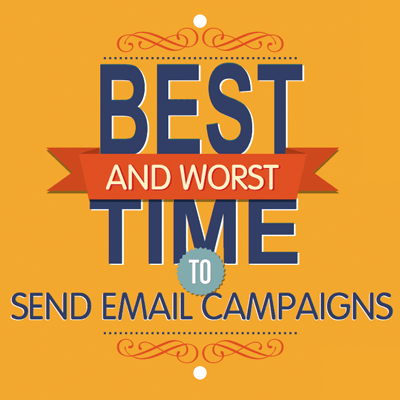 It can be something as simple as: “Once a week we send an email with our best content. We never bug you; we just send you our latest piece of content.” You can do this in your welcome email. Try giving your readers something special in exchange for successful referrals of your newsletter as well. Things like premium content, free trials, partner deals, or Amazon vouchers could all work, just make sure it’s something your readers will value. According to Will Cannon (Founder at UpLead) this is a good combo that increases reader engagement, adds value, and generates more sign-ups for you. And don’t let the quality of your newsletter dwindle – keep experimenting with new topics, or even new types of content such as assessments, to keep attracting people to sign-up. You now have them all! 5 original ways to grow your email list that you probably didn’t hear of before. 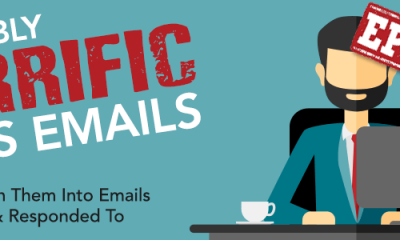 But collecting emails is just the first step, Outbound Sales On Autopilot: How To Get From Lead to Deal with Maximum Automation is a great guide on what you should do next once you have your emails! If you know any other tactics that I haven’t described here, let me know in the comments below!